Take a tour back in time with Jonny,Jessie,and Hadji,the kids from the animated series shown on Cartoon Network called The Real Adventure of Jonny Quest.In addition The Centurians,Snoopy,and even Mulan will be there too.Our heroes will journey to the year around 1607 to prevent various villains ranging from Ratcliffe the nasty villain in 'Pocahontas' to Melana and Anaya Zin ,the Mongolian twins from The Real adventure of Jonny Quest, from changing history. This story is very fun to read if you happen to be one of those people who likes to analyze cartoons ^_^ just like us. 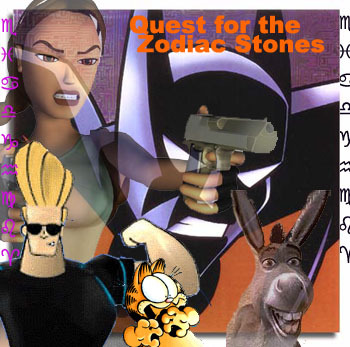 An adventurous story about a team of friends on a quest to seek the 12 zodiac stones that have the power to free a captive wizard who in turn will save an ancient village,Greensfield.This story features Lara Croft,the famous heroine of the game Tomb Raider, Terry the guy in the animated Batman Beyond, Garfield the famous comic feline, Donkey the comedian donkey from 'Shrek', and Johnny Bravo from the show 'Johnny Bravo' shown on Cartoon Network. A beautiful tourist town turns deadly when the guests at a motel suddenly disappeared without a trace. 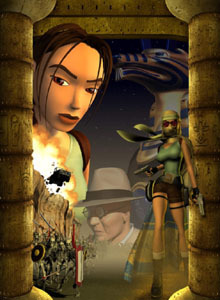 As one of the many guests staying at this motel, Lara Croft and her friends are bound to get to the bottom of this mystery before anything else happens. 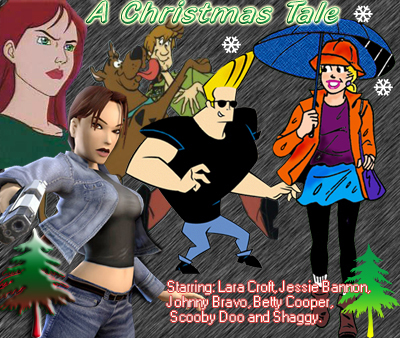 Guest stars in this episode are Lara Croft, Johnny Bravo, Jessie Banon, Betty Cooper, Shaggy and Scooby Doo.